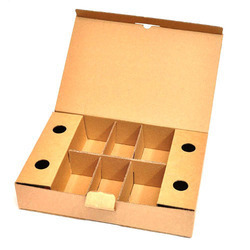 This smart Box with 10 Partitions is the perfect place to safely keep your precious watches. Handcrafted in eco-friendly pine based MDF and sanded to a smooth finish, these Boxes are a treat to work on! Duplex Board / Mono Carton / SBS Board / With Multi Color Print /Gloss Lamination / Die Cut / Triple Pasting Bottom interlock / 285 gsm to 320 gsm. Can design any structural form. Rates will vary with quantity, size, material, and process involved. We are offering our customers an excellent quality range of Partitions, which are manufactured from high grade quality raw materials. This market sector is synonymous with Partitions have specialized in providing custom solutions to meet the most demanding challenges and requirements. 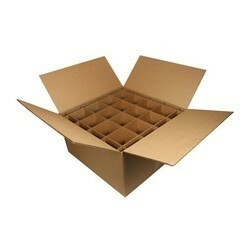 S. R. S And Co.
We are offering Corrugated Box Divider to our client. Backed by extensive range of product, we are counted among the well-reputed organization for providing 1/2kg Golden Partition Box. Our offered products are manufactured by our experts by using fine quality raw materials. These golden partition boxes are acclaimed for their optimum quality and enticing designs.